We know how important it is to have read all the information available before deciding to purchase and wear contact lenses. After all, there can be many different types to choose from. Here at Coloured Contacts, we wanted to answer some of the contact lens questions we are asked. In this daily contact lens FAQ we will be answering questions such as What are Soft Contact Lenses to help give you some extra confidence when you shop coloured contact lenses. Soft vs Hard Contact Lenses? While it can be down to personal preference of contact lens types, soft lenses are often the favoured material for wearers who use their contact lenses for long periods of time. This is because the material is designed to be breathable and allows oxygen to pass through the lens meaning your eyes are less likely to feel as dry and weighed down by your lens. The flexible material also means they stay in place more successfully and are able to move with your eye. Unlike the original glass contact lenses, modern hard contact lenses are made from plastic in a similar style to the soft lenses. When discussing hard vs soft contact lenses, hard lenses are usually referred to as RGP or Rigid Gas Permeable lenses due to their ability to allow oxygen through. If you experience dry eyes then soft contact lenses are often the suggested option because they contain water, unlike RGP lenses. This allows the eyes to stay hydrated but could cause bacteria to be introduced more easily than with hard lenses. How Long Can You Wear Soft Contact Lenses? When asking how long can you wear contact lenses people are generally referring to how many hours you can wear your lenses at a time. We recommend wearing your lenses for no longer than 8 hours within a 24 hour period to avoid any potential issues with your eyes. Extended wear can cause undue irritation and dryness which can mean your eye is more susceptible to infection. As you can see the reason there is so much advice about how long can you wear contacts in a day is because the priority is keeping your eyes healthy. How Long Can Contact Lenses Last In Solution? Our soft contact lenses solution is the perfect way to prepare your lenses for use. Regardless of the type of lenses, you should soak your lenses for at least 2 hours prior to wearing them. This is because contact lens solution features anti-bacterial properties which are not found in saline solution. If you have reusable contact lenses such as 30 day or 90 day then be sure to refresh the solution each time before storing your contact lenses in their case. If you want to make caring for contact lenses a little easier then be sure to take a look at our contact lens cleaning kit. To determine whether your eyes are suitable for contact lens wear, we advise you to seek out the opinion of your optometrist or eye doctor. Whether you have worn lenses in the past or not, it is important to seek medical advice because different brands and types of contact lenses can offer various sizes, materials, and designs. Why Do My Eyes Get Blurry With Contacts? Sometimes when you try out a new pair of contact lenses you can experience blurred vision. This could be due to several reasons. Before using your contact lenses make sure that you have checked your eye suitability with your eye care specialist, have soaked the lenses in fresh solution for an appropriate amount of time and have checked the lens for any defects. If you find new contact lenses blurry then it could be that the lenses were not prepared as they should have been. Take a look at our How To Guide for information about using your lenses. If the problem persists or the lenses feel uncomfortable then remove them immediately. When it comes to your eyes, if you are in any doubt about the comfort of the lenses it is best to remove them. In some cases, the lenses could be blurry because they are inside out. If you place the lenses on your fingertip you will be able to see if the lens creates the correct bowl shape or if it is inside out. What Kind Of Contacts Should I Get? As we have mentioned in this blog, most of the choices are down to personal preference. Here at Coloured Contacts we stock 1 day, 30 day, 90 day and 1 year lenses so you can choose the duration that is right for you. This period simply tells you if the lenses can be reused and how long for. The period begins from when you first open the lenses. You can also select the colour you would like and style, e.g. natural or costume, and as we already mentioned there are hard and soft lenses made from a variety of materials. Do I need To Soak My Daily Contact Lenses? Contact lens solution isn’t just for storing lenses. It is also vital to soak your lenses before use. Soaking your lenses for at least two hours will ensure they are fresh and any potentially harmful bacteria have been cleaned away. While all our lenses are stored in sterile containers and solution, the contact lens solution contains additional antibacterial properties to help your eyes stay feeling fresh and healthy. 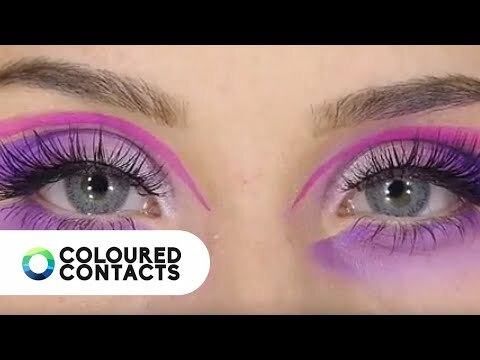 Do Daily Contacts Come In Colours? Here at Coloured Contacts, we stock both natural and costume styles in daily varieties. To see our full range of daily designs click here. We also offer daily 10 packs which you can read more information about here. These are perfect for changing your natural eye colour without the hassle of cleaning and storing your lenses after use. All our daily contact lenses can be disposed of in your normal household waste. Some of our daily designs also come in 30 day or 90 day varieties so purchasing the daily style can be a perfect way to test out if the style is right for you before you commit to a longer duration lens. 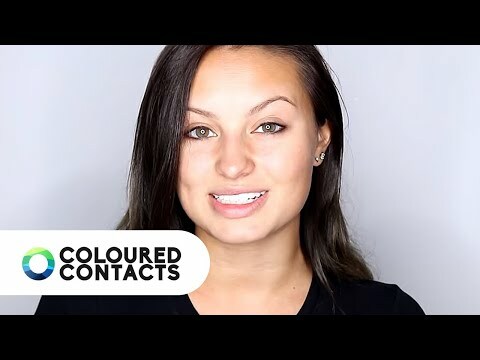 Can You Get Coloured Contacts For Prescription? 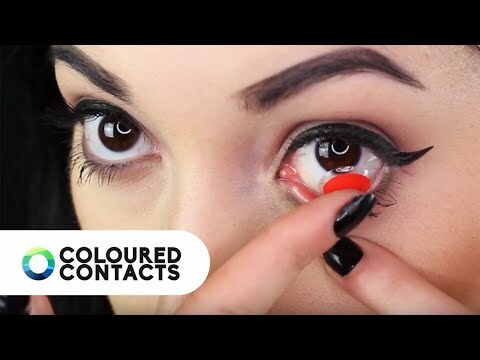 You can get coloured contacts for prescription so there is no need to miss out. Just remember to check with your optometrist which lens style and power will be best for you. The prescription lenses come in a variety of designs, often similar to the non-prescription styles. We also have a range of natural styles and coloured daily contact lenses. We hope we have answered some of your questions about using soft contact lenses and how to look after your lenses. If you have any questions that you think we should add to future contact lenses FAQ be sure to let us know via Instagram, Facebook or Twitter.